Clutter confines us – so much more than just the actual space, but the energy it brings. Can your soul really breathe? Does your home feel light or heavy? Feng Shui isn’t the only answer – how can you engage all the senses to allow for your safe haven in your home? 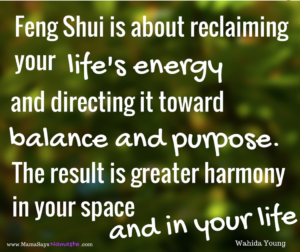 Implement and Act: Engaging the senses and building feng shui – how to create a house that is light and lifts you up. Sight – LED candles, real candles – set the vibe. Look at how you display your food – the presentation of meals and snacks sitting out. Sound – pay attention to nature. Play music – different themes. But also remember the importance of silence. 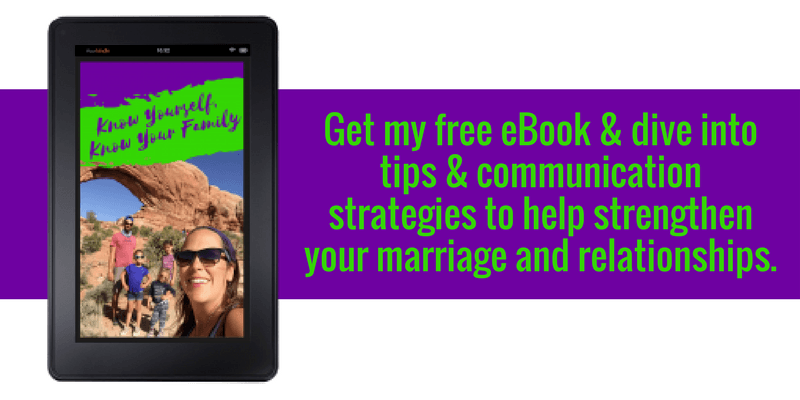 Listen to the blank spaces between people’s words – how does that add into it? It makes you pay attention to what they’re doing and who they are in a different way. Smell – your sense of smell is a real memory bank for you. Experiment and play with that and see what memories you can recreate, or how it can create a vibe of togetherness. Taste – how does a tea or cappuccino affect your mood? Healthy snacks to keep up your energy. With your kids – have healthy options available. Make the healthy stuff easy access. Our kids eat healthy simply because that is what is available. We don’t want to say no to our kids all the time. Surround them with good and healthy food. Sometimes pure, natural flavor to their pure, natural palettes will surprise you – so allow them to really experience all kinds of food. Touch – what feels good to you – the power of personal touch as well as the physical things in your home. Soft blankets, clothes, etc. Intuition – is the energy in your home heavy, or light? Soothing, or cold? Sometimes this is overshadowed by what our society tells us is “clarity”, but that may have nothing that works for us. What does our intuition say? What makes you feel comfortable, creative, focused? How can you make your life lighter? How can you allow it to flow? It’s okay to let things go. Try completely clearing an area. Feel it empty. Be very intentional about what you put back in to it. With every thing, simply ask yourself why are you keeping it? • What is it’s significance? • Can you hold the memory without the item? • Is there someone else who would enjoy it? • What would you be without this in your life? (hint – if the answer is, it doesn’t matter in the slightest, then chances are you should purge it). It’s amazing how much clutter can affect your mood. I am all about sweet things that make a house feel like home – but sometimes less is so much more. It allows your soul to breathe. Weekly challenge: Allow yourself open spaces where your spirit can soar. Start in the bedroom and see how you are engaging the senses. Focus on a room at a time and see what you can awaken. 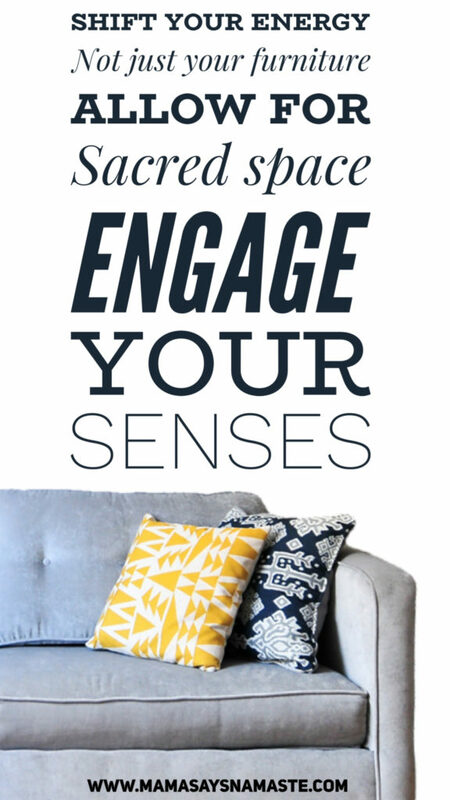 Get the “Engage the Senses” printable at www.MamaSaysNamaste.com/senses and post your pictures of your space and ideas in the Mama Says Namaste Facebook group! Where is your most peaceful place in your own home?